Firstly, try not to worry, we all started out as beginners! But please follow these few guidelines to make your class go smoothly, for you and other class users. We will welcome you into our friendly class and please be assured that we will take care to make you feel comfortable and safe. You will learn with ladies of similar ability to make you feel at ease and start at a pace that suits your level. 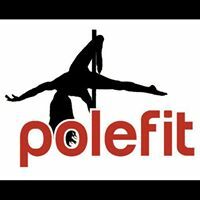 Pole & Aerial classes will start with a thorough warm up, ability appropriate moves, and a cool down to help with flexibility and minimise risk of DOMS (delayed onset muscle soreness). DO wear shorts and a vest/sports top, a common fear is having to wear shorts, and a lot of ladies are self concious about their legs, but honestly, everyone wears the same, no judgement and friendly faces only. In colder months some ladies wear long socks or leg warmers. The more skin out, the easier it is to stick to the pole :) For aerial hoop you must wear leggings. DO NOT wear any body moisturiser on the day that you come to class, it makes pole difficult for you, and others in the class. DO wash your hands in hot soapy water to get rid of unwanted moisture or oils from hands, soaps without moisturisers are better. DO arrive to your class AT LEAST 5 minutes early, to allow time to arrive, park, and find the venue. Late entrants cannot be permitted due to health of safety as an instructor led warm up up must be attended to allow us to teach any pole or aerial fitness. DO be sure that at Karrie's Pole Fit we have a diverse range professional poles in a variety of widths and coatings, and good quality safety matting. All our instructors are qualified and registered in Pole/Aerial Fitness with Pole Fitness specific insurance, First Aid Certificated, & DBS checked, as well as a teaching assistant to give you great value, support and encouragement. We do class bookings, only to ensure there is never more than 2-3 per apparatus, so that you get a great class and feel worked out. If we cannot get you in to your preferred day or time please add yoursel to the waitlist. We DO NOT recommend classes that have unqualified pole/aerial instructors. They are unlikely to be properly insured and your safety is important, as pole/aerial fitness can be dangerous. You may find a cheaper class somewhere, but you may be using unserviced equipment, being taught by unregistered, unqualified, or uninsured instructors, or have an overcrowded pole! If in doubt, ask the instructor to see their qualifications and insurance so that you know your in safe hands! "I've always wanted to do pole dancing but never had the courage till now to start, I started pole because I wanted to get into shape after having 4 kids. Now I have started I feel amazing about myself and feel better about how I look, that's what inspires me to come, I have a great time, have met new people and my confidence has grown"
Join your local Pole Fit company to help you tone up, get fit, lose weight, change body shape and build confidence. A team of lovely ladies will guide you through your pole journey from beginner to more advanced moves and help you achieve things you previously thought impossible. You will feel welcome in a friendly, positive environement. And even get the chance to have your hard work graded to achieve levels 1-6 with certification with our PDC 3* approved instructor & qualified assessor Karrie.